Life is a series of events, sometimes shattering, sometimes amusing, or sometimes comforting. Everyone has a story to tell, all they need is a forbearing listener. The Trees Told Me So is a compilation of eleven stories, or we can that an edifying collection of various emotions representing different people, telling their own stories of struggles, happiness, sadness, memories, love and loss. 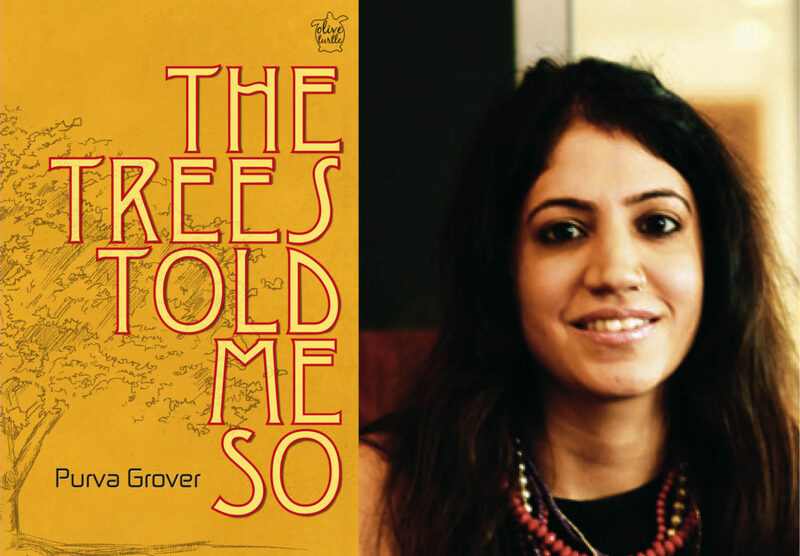 With an effortlessly convincing and capturing narrative, this book is indeed a remarkable debut by Purva Grover, a journalist, playwright and stage director. According to the Preface, she listened closely to the witnesses of the stories – the trees. Hence, unequivocally, she has created a beautiful and exceptional account of various lives. In the first story, “The Darkness of Red”, Chaurasia is not the real name of the owner of ‘Chaurasia Paan House’ situated under the tree. The journey of Chaurasia, the seller of addiction from village to city and grabbing the opportunity the city has served him is similar to the ‘Wealthy Cobbler’ in the story “A Bigger Place, With More Feet.” The Wealthy Cobbler was his own master and also a man with a plan, a unique sort of plan. Many stories of this collection are marvellous description of childhood memories, connectivity and the sense of belongingness. “A Summer Ritual” is about a ritual we all have experienced and loved – the ritual of visiting our grandparents during summer holidays, the fun with cousins, the games and the mango tress. The speaker in the story ponders when and why that beautiful ritual of her life ceased to exist. Similarly the story “Scent of the Familiar” is a reminiscence of the scents, the henna leaves, the mehendiwallahs under the Gulmohar tress, Guptaji – the best, the peacocks and paisleys, the promise and the tribute. “Handsome Point” and “Over a Cup of Chai” perfectly prove that old habits die hard, whether it is a habit of haircut at a barber shop or of several cups of tea adding to memories of college life. “The First Kiss” is an exquisite and unconventional tale of first kiss. A tree in the story witnesses a romantic passionate and secret bonding of two souls. Various context of this book questions some of the undeniable, dark and sad truths of the society. In the story “Between Us, Daughter and Mother”, a daughter shares the agonies and torments she went through. The tree witnesses a heinous crime and men crossing every extent of brutality. A mother’s heart is never at peace, not even after her death. The last story “On The Bed of Wood” comprises a mother’s last message to her son and indeed, a true message a mother wishes to deliver her son even if she stays by his side. Consequently, The Trees Told Me So is a journey around different people revealing and reliving their presents, pasts and plans. Every story portrays sad or happy realities, genuine emotions, relatable circumstances, questionable deeds, atrocious incidents and significant message for one and all. Through strongly gripping story lines, this collection possesses a unique charm. The readers must grab this set of short stories for their summer readings and why not to read it sitting beneath the comforting shade of tree ! A bliss it would be. 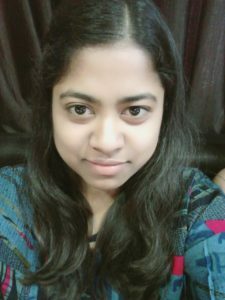 Bhabya Singh (Columnist, Reviews) is a student of Commerce (pursuing Post-Graduation); however, with a fond love towards literature she thrives to read and write.